As Israel forms its new coalition government, this fact sheet provides an overview of the parties and notable ministers in the new Israeli government and their views towards the Palestinians. Note: Many ministerial positions have yet to be filled. This fact sheet will be updated as more ministers are appointed. For further reference on the parties and new members of the Knesset (parliament), see our previously released 2015 Israeli Election Guide. Note: None of Israel’s Zionist political parties, including all the parties in the new hardline right-wing government, supports equality for Palestinian citizens of the state, who make up about 20% of the population. There are more than 50 laws that discriminate against non-Jewish citizens of Israel dealing with everything from land ownership to education, to housing and family reunification rights. Prime Minister Benjamin Netanyahu’s Likud party has always been categorically opposed to the creation of an independent Palestinian state, or Palestinian self-determination of any kind, playing a leading role in Israel's colonization of occupied Palestinian land beginning in the 1970s. Inside Israel’s internationally recognized pre-1967 borders, Likud has overseen a shift to the hard right in Israeli society in recent years, introducing numerous discriminatory laws targeting Palestinian citizens of the state, while senior Likud officials have incited racism and violence against them and African migrants and asylum seekers. 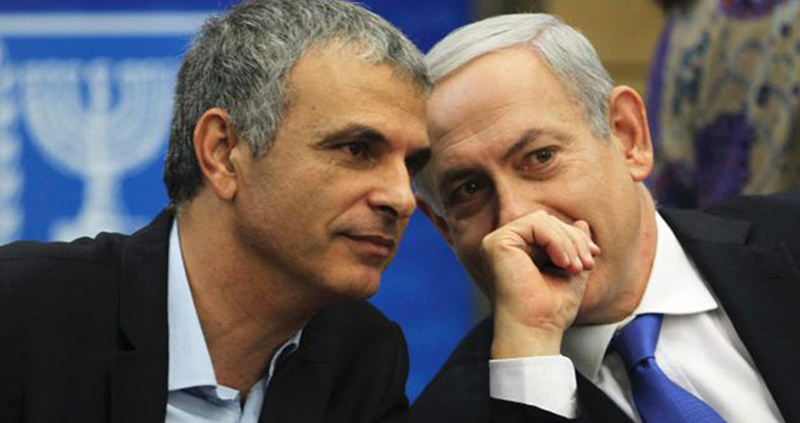 While party leader Moshe Kahlon, formerly a senior official in the Likud party, says he supports the two-state solution in principle, he has also declared that he believes there is currently no point negotiating because there is no Palestinian “partner” for peace, despite near-universal acknowledgement that Palestine Liberation Organization Chairman and Palestinian Authority President Mahmoud Abbas is genuinely committed to reaching a permanent peace agreement. The Jewish Home party is categorically opposed to Palestinian statehood or self-determination of any kind. Senior party officials include settlers living on occupied Palestinian land and notorious anti-Arab racists and religious extremists. Party leader Naftali Bennett advocates annexing most of the occupied West Bank and making Gaza part of Egypt. Goyim [non- Jews] were born only to serve us. Without that, they have no place in the world; only to serve the People of Israel... Why are gentiles needed? They will work, they will plow, they will reap. We will sit like an effendi and eat. With gentiles, it will be like any person: They need to die, but God will give them longevity. Why? Imagine that one's donkey would die, they'd lose their money. This is his servant. That's why he gets a long life, to work well for this Jew. Today they say there are eight billion people in the world. And what are they all? Murderers, thieves and senseless. Did God create the world for these murderers? The world was created for the righteous people who study Torah. That is the purpose of creation ... The nations of the world have no redeeming qualities. Prime Minister Benjamin Netanyahu has staunchly opposed the creation of an independent Palestinian state or self-determination any of kind inside of historic Palestine all his political career. In 2002, following his first term as prime minister (1996-99), Netanyahu was caught on video boasting to a group of settlers that he had sabotaged the US-sponsored Oslo Accords negotiations process, stating: "I de facto put an end to the Oslo Accords.” He also claimed that he knew how to manipulate Americans, stating: "America is a thing you can move very easily." Regarding the Palestinians, he told the settlers that the way to deal with them is to "beat them up, not once but repeatedly, beat them up so it hurts so badly, until it's unbearable." In 2009, under pressure from the US and international community, Netanyahu gave a speech in which he said for the first time that he would support the creation of a Palestinian state, however he attached so many conditions as to render it void of any sovereignty or independence. Late in the 2015 election campaign, in an attempt to shore up his hardline right-wing base, Netanyahu abandoned even this dubious support for the two-state solution, pledging that if reelected he would never allow the creation of a Palestinian state, while also warning Jewish Israelis in a thinly-veiled race-baiting appeal about “droves” of Arab citizens coming out to vote. Under his premiership, Israeli society has shifted to the hard right, with open displays of racism and violent attacks against Palestinians, including Israeli citizens, and other non-Jews, spiking to alarming levels. Racist pronouncements and incitement by senior Israeli officials against Palestinians and other non-Jews, particularly African migrants and asylum seekers, has become commonplace. Since Netanyahu’s return to power in March 2009, Jewish settlements built on Palestinian land in the occupied West Bank and East Jerusalem in violation of international law (and official US policy) have grown rapidly. In December 2014, Israeli media reported that according to official government figures, between 2009 and 2014 the number of settlers in the West Bank increased by 23%, to 355,993. (The government doesn’t keep figures on settlers in East Jerusalem because it was annexed by Israel, in a move not recognized by the international community.) During the same period, the rate of population growth inside Israel’s internationally recognized, pre-1967 borders was 9.6%. In total, there are approximately 650,000 settlers living in occupied East Jerusalem and the West Bank today. In the summer of 2014, Netanyahu ordered the deadliest Israeli military operation in the occupied territories since Israel took control of them in 1967, killing more than 2,100 people inoccupied and besieged Gaza, including more than 1,400 civilians,according to the UN, among them more than 500 children. During and after the assault human rights groups and the UN documented evidence of Israeli forces committing grave and systematic war crimes, including the targeting ofcivilians and civilian infrastructure, including hosp itals , medical workers, and UN schools being used as shelters by displaced civilians, and the widespread use of disproportionate and indisc riminate force. The hardline Yaalon, who also served as defense minister in the previous government, is opposed to the creation of a Palestinian state or Palestinian self-determination of any kind. During the previous round of US-sponsored negotiations with the Palestinians, Yaalon repeatedly insulted senior US officials, including Secretary of State John Kerry, who he accused of having a “ misplaced obsession and messianic fervor” for wanting to make peace between Israelis and Palestinians. In June 2010, Yaalon, then-Israel's Vice Premier and Strategic Affairs Minister, praised the founder of the Stern Gang (also known as “Lehi”), Avraham Stern, declaring: "Israeli students must draw courage and strength from the Lehi founder's ideas so one day they could use them to lead the nation." The Stern Gang was a Zionist terrorist organization that operated in British Mandate Palestine prior to Israel’s creation in 1948. Its members carried out a wave of deadly attacks aimed at Palestinian civilians and British targets in the 1940s, including the notorious massacre of approximately 100 Palestinian civilians, including women and children, in the village of Deir Yassin on April 9, 1948, and the assassination of UN peace mediator Count Folke Bernadotte in September 1948. In 2009, Yaalon canceled a trip to the United Kingdom over concerns he might be arrested and charged with war crimes for the actions of the Israeli military when he was its chief of staff (2002-2005) during the Second Intifada (uprising) against Israel’s occupation. In particular, human rights activists wanted Yaalon tried for the assassination of Hamas leader Salah Shehadeh in Gaza in July 2002, which involved dropping a one-ton bomb on an apartment block in the middle of the night in one of the most densely populated places on earth, killing 13 civilians, including eight children, along with Shehadeh. In 2002, then-General Yaalon, who was attempting to crush the Second Intifada, stated: "The Palestinian threat harbours cancer-like attributes that have to be severed. There are all kinds of solutions to cancer. Some say it's necessary to amputate organs but at the moment I am applying chemotherapy." Ben-Dahan, a rabbi and settler who lives in Har Homa on occupied Palestinian land in the West Bank, is opposed to Palestinian statehood or self-determination, and instead advocates Israel annexing all of the West Bank. As deputy defense minister Ben-Dahan will be responsible for the “Civil Administration,” the body that oversees Israel’s military regime for Palestinians in the occupied West Bank. Extreme right-wing Jewish Home party leader Bennett is categorically opposed to the creation of a Palestinian state or self-determination of any kind, instead proposing that Israel annex the approximately 60% of the occupied West Bank that fell under full Israeli control under the terms of the supposedly interim Oslo Accords, where most Jewish settlers live. Although not a settler himself, Bennett is a strong supporter of Israel’s settlement enterprise, and is a former head (2010-2012) of the Yesha Council, the main political body representing settlers. In January 2013, Bennett pledged: "I will do everything in my power, forever, to fight against a Palestinian state being founded in the Land of Israel." A few months later, in June, he declared: "The most important thing in the Land of Israel is to build, build, build [settlements]. It's important that there will be an Israeli presence everywhere. Our principal problem is still Israel's leaders' unwillingness to say in a simple manner that the Land of Israel belongs to the People of Israel." The 39-year-old Shaked, a rising star in the Jewish Home party, is vehemently opposed to Palestinian self-determination of any kind and is notorious for her extreme, anti-democratic, and racist views against Palestinians, African migrants, and other non-Jews. During her time in the Knesset, Shaked has championed a slew of discriminatory and repressive laws, including ones that would formally enshrine Israel as a “Jewish state,” stipulating that only “the Jewish people” are entitled to self-determination within Israel and historic Palestine, and limit the power of Israel’s supreme court. She has also been active in a racist and inflammatory campaign against African asylum seekers and migrants by Israeli politicians and others. Shaked is currently pushing a law that would force Israeli NGOs that receive funding from foreign governments to get permission to do so from Israel’s defense and foreign ministers, as well as the Knesset Foreign Affairs and Defense Committee. The so-called “NGO law” is widely seen as an attempt to suppress left wing civil society organizations that document and expose Israeli war crimes and abuses of Palestinian rights. Chairman of the previous coalition government, Levin is a hardline right-wing ideologue, strong supporter of Israel’s illegal settlement enterprise, and opponent of Palestinian statehood and the two-state solution. As minister of internal security, Yariv will oversee Israel’s domestic secret police, the Shin Bet. As such, he will be in a position to implement severe measures that he previously proposed to deal with civil unrest and protests by Palestinian citizens of Israel and in occupied East Jerusalem (see below for more on the measures). In this way, we will try, slowly but surely, to expand the circle of settlements, and to afterwards extend the roads that lead to them, and so forth. At the end of this process, the facts on the ground will be that whatever remains [of the occupied West Bank] will be merely marginal appendages… We fully agree and are completely united behind the prime minister’s position, which is to strengthen our foothold in the Land of Israel, to build in [occupied East] Jerusalem and Judea and Samaria [the West Bank]. In May 2014, members of the caucus submitted 10 bills to the Knesset calling for the annexation of so-called settlement “blocs” comprising almost 60% of the occupied West Bank.In May 2014, members of the caucus submitted 10 bills to the Knesset calling for the annexation of so-called “blocs” comprising almost 60% of the occupied West Bank. Even when the prime minister spoke about the issue of two states, he didn’t speak about a state in the full sense. He spoke about a long range of conditions that he himself says there is no chance that they will be fulfilled in the near future due to the actions of the other side. The State of Israel is a Jewish country in which there is a democratic regime, not a country that belongs to all its citizens and infiltrators [asylum seekers and migrants from Africa] and in which there exists, at its margins, Jewish life. This fundamental principle upon which the State of Israel was established is being eroded at an ever-swifter pace by the rulings of the Supreme Court, and therefore it is necessary to halt this post-Zionist process and anchor the state’s basic identity and values in a basic law. ​​In February 2014, the Knesset passed a law sponsored by Levin legally distinguishing between Christian and Muslim Palestinian Arab citizens of Israel, declaring that the former are not in fact Arab, part of an effort to divide Israel’s minority Palestinian population. According to Levin, Christians are “our natural allies, a counterbalance against the Muslims who want to destroy the state from within.” A few weeks prior to the passage of the law, he declared: “This is a historic and important move that could help balance the State of Israel, and connect us and the Christians, and I’m being careful about not calling them Arabs because they aren’t Arabs.” In fact, almost all Christian Palestinians are Arabs, and consider themselves to be such, and have long formed an integral part of Palestinian society. ​​​In February 2014, during a meeting between the U.S. ambassador to Israel and a group of right-wing parliamentarians from Israel’s coalition government intended to improve relations with the Obama administration, Levin demanded that the U.S. support Israel without question, stating: "We see our alliance with you as unconditional. When there is a true alliance, it is proved by you standing behind us, even when you think we're wrong." Elkin, an immigrant from the Ukraine and settler who lives in the illegal colony of Alon Shvut on Palestinian land in the occupied West Bank, is a senior official in the Likud party and has long been considered one of the most right-wing members of the Knesset. Elkin is a staunch opponent of Palestinian statehood and self-determination. Instead, he has advocated annexing the occupied West Bank. In July 2012, he declared: “This is our land, and it’s our right to apply sovereignty over it. Regardless of the world’s opposition, it’s time to do in Judea and Samaria [the occupied West Bank] what we did in [occupied East] Jerusalem and the [occupied Syrian] Golan [Heights].” In January 2013, at a conference entitled “Application of Israeli Sovereignty of Judea and Samaria,” Elkin explained his plan for gradual annexation. 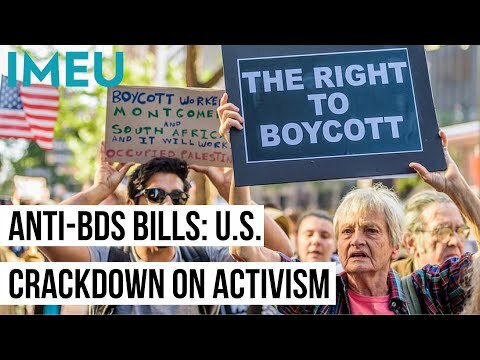 The controversial "boycott law," co-sponsored by Elkin, which allows for Israeli citizens and organizations to be sued and liable for compensation for calling for economic, cultural or academic boycotts of Israel or its settlement enterprise. It also gives Israel’s minister of finance the power to impose economic sanctions on Israeli citizens, groups, and institutions that receive state support if they call for or support such boycotts. ​A bill that would formally enshrine Israel as a “Jewish state” in its basic laws (Israel has no constitution), emphasizing its Jewish character over its democratic character, declaring Hebrew the only official language, encouraging Jewish traditional law as a source for legislation and judicial decisions, and calling for the state to be responsible for the housing of Israel’s Jewish population, but not for non-Jewish citizens and residents. The bill was considered one of the most extreme of several similar bills proposed by other Knesset members. In 2012, it was revealed that Elkin had leaked information about Israeli army activities to radical right-wing settlers, which the settlers planned to use to disrupt attempts by the army to remove so-called "outposts" (nascent settlements built without official approval). Shalom served as foreign minister under Prime Minister Ariel Sharon from 2003 to 2006, during which time the Israeli military brutally suppressed the Second Intifada (uprising against Israel’s occupation), killing and injuring thousands of Palestinians. A former spokeswoman for the Israeli army and a rising star in Netanyahu’s Likud party, the hardline nationalist Regev is opposed to Palestinian self-determination of any kind and is known for her extremist views towards Palestinians and other non-Jews, in particular African migrants and asylum seekers. In January 2014, Regev introduced a bill that would have prevented the government from negotiating the future status of occupied East Jerusalem, or the right of return of Palestinian refugees expelled from their homes during Israel’s creation, without prior permission from the Knesset. The law was intended to sabotage US-sponsored peace talks then underway. She previously attempted to prevent the government from negotiating a withdrawal from the Jordan Valley in the occupied West Bank as part of any peace deal. In February 2014, she sponsored a bill calling for the government to apply full Israeli law to Jewish settlements built on occupied land in the West Bank, as well as the roads leading to them, effectively annexing them to Israel. She also advocates that Palestinians, including minors, arrested for throwing stones at Israeli soldiers and settlers be jailed for ten years. In November 2012, Regev said during a TV appearance that she was "happy to be a fascist." Earlier in the year, Regev and other members of the Likud party, including Netanyahu, helped incite a wave of racist violence, including assaults and arson attacks, targeting African migrants and asylum seekers. At a May 2012 anti-immigrant rally in Tel Aviv that degenerated into arace riot, Regev told an angry mob that Sudanese asylum seekers "are a cancer in our body. We will do everything to send them back where they came from." A poll shortly thereafter by the Israel Democracy Institute found that 52% of Israeli Jews agreed that African immigrants were a “cancer” in Israel. Regev has also played a leading role in Israeli provocations around the Noble Sanctuary mosque complex (known to Jews as the Temple Mount) in occupied East Jerusalem, one of the holiest sites in Islam. In recent years, a growing number of messianic Jewish fundamentalists who want to build a temple on the site have been pushing for increased access for Jews, who are prevented from praying on the site by Israeli law. In March 2014, Regev formed a parliamentary subcommittee to discuss the implementation of a government decision to increase visiting hours for Jews who want to visit the Noble Sanctuary. Regev campaigned, along with fellow Likud member Danny Danon and other right-wing politicians, in an unsuccessful attempt to have Palestinian citizen of Israel and Knesset member Haneen Zoabi banned from running for office. During Israel’s brutal assault on Gaza in the summer of 2014, which killed more than 2,100 Palestinians, most of them civilians, including more than 500 children, Regev called on the government to punish the entire population of the tiny besieged territory, urging it to prevent the entry of “basic goods and [to] block the crossings and main roads. Hotovely, deputy minister of transportation in the last government, is a right-wing ideologue and vocal opponent of the two-state solution, as well as the mixing of Arabs and Jews. Hotovely proposes annexing the occupied West Bank and granting the Palestinians living there Israeli citizenship, while maintaining a system that privileges Jewish citizens and encouraging the mass immigration of foreign, mostly US Jews, to maintain a large Jewish majority. The 1.8 million Palestinians living in occupied and besieged Gaza, meanwhile, would be excluded, as would millions of Palestinian refugees, denied their internationally recognized legal right of return. In December 2012, Hotovely explained that Netanyahu's 2009 speech at Bar-Ilan University declaring his (highly conditional) support for a Palestinian state was just "a tactical speech for the rest of the world," stating, "We are opposed to a Palestinian state." In February 2011, Hotovely chaired a parliamentary hearing by the Knesset Committee on the Status of Women to examine "the problem" of Jewish-Arab interracial relationships, during which she complained about “92,000 families in Israel in which one of the partners is not Jewish - we have a real problem that we have to deal with." Among those invited to speak was the head of a group called Lehava, which is made up of followers of the late Rabbi Meir Kahane, whose racist Kach party and its offshoots were deemed terrorist organizations by the US and Israel. In December 2010, Hotovely expressed support for a letter signed by dozens of wives of prominent rabbis urging Jewish women not to mix with Arab men, stating, "the intermarriage phenomenon among Jewish girls and Arab men is dangerous for women, who suffer abuse and disconnection from their families after the marriage." Like Regev, in recent years Hotovely has played a leading role in inflaming tensions over the Noble Sanctuary mosque complex in occupied East Jerusalem. She has visited the site a number of times, including the night before her wedding, and advocates changing Israeli law to allow Jewish prayer inside the Noble Sanctuary. Ariel, a settler living on occupied Palestinian land in the West Bank, is opposed to the creation of a Palestinian state or Palestinian self-determination of any kind. As minister of housing in the previous government, Ariel oversaw the rapid growth of settlements on occupied Palestinian land and was accused of preferencing religious settlers for hiring in the housing ministry. Ariel is also part of the so-called Temple Mount movement of messianic Jewish fundamentalists who want to build a Jewish temple on the spot where the Noble Sanctuary mosque complex is located in the Old City of occupied East Jerusalem, which is one of the holiest sites in Islam. In April 2014, senior US officials blamed Ariel personally for attempting to sabotage peace negotiations by announcing a tender to build Jewish settlements in occupied East Jerusalem while the US was trying to keep talks going following Israel’s failure to release a final group of long-serving Palestinian prisoners, which Netanyahu had agreed to do in order to facilitate a return to negotiations.